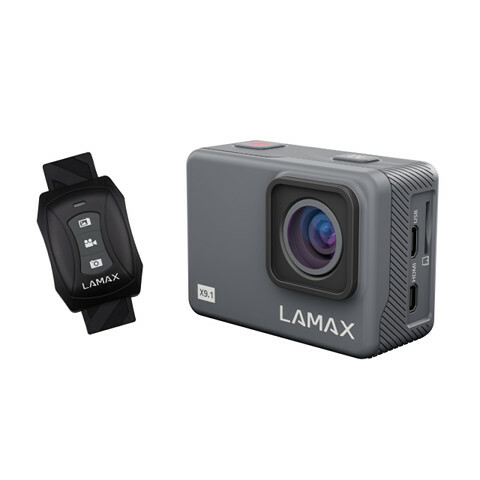 Native 2.7K video at 30fps, integrated 2'' LCD display, wristband remote, 4K time-lapse video, slow-motion video without post-production, Wi-Fi and mobile app, up to 16MP photos, photo burst, 170° angle of view, complete set of accessories in the basic pack, waterproof up to 30m. 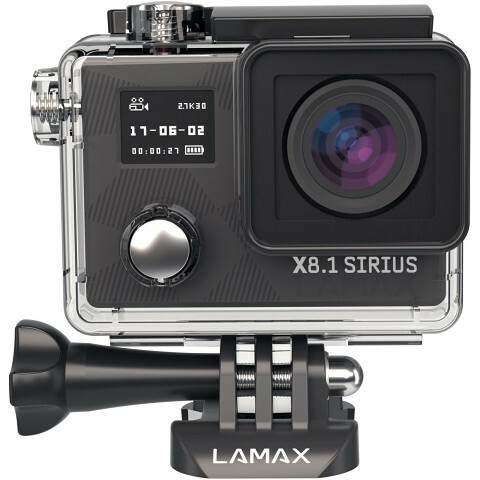 LAMAX X7.1 Naos camera finally delivers video to all that’s straight out of a movie. The X7.1 Naos offers up a beautifully crisp and highly-detailed image at a native resolution of up to 2.7K. This is up to four times that of standard HD video. Dramatic time-lapse camera shots are recorded directly without the need for further processing and the resulting atmosphere is truly stunning in 4K. Grab once-in-a-lifetime shots simply by pressing the shutter. Photo burst captures acrobatic moves as a series of successive snapshots. Thanks to slow-motion, watch each flying drop of water glide through the air as you jump in. 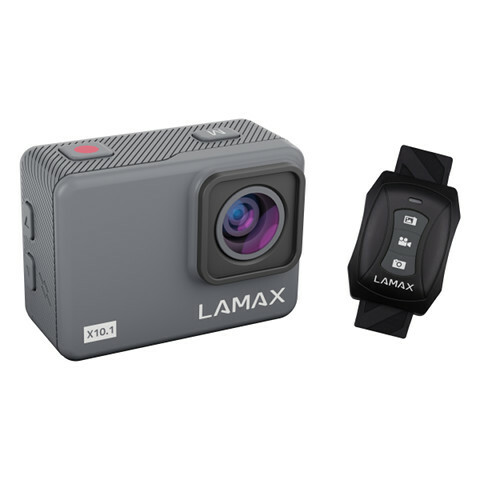 With the LAMAX X7.1 Naos, the possibilities are limitless. 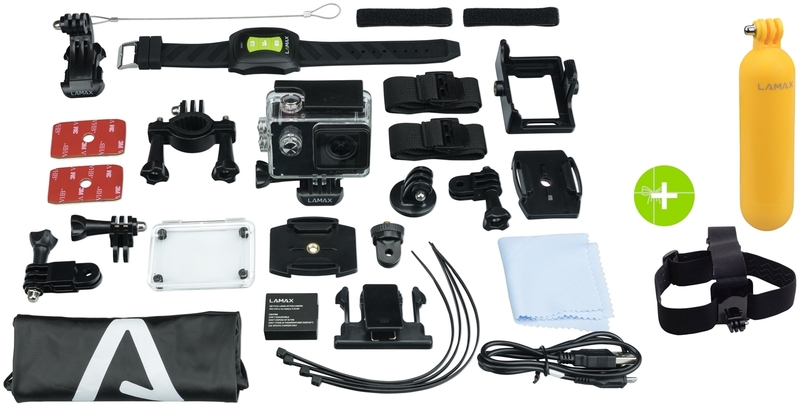 Up to 23 accessories in the basic pack mean the camera can be secured anywhere, whether it be the handlebars of your bike, a ski helmet or a pet harness. 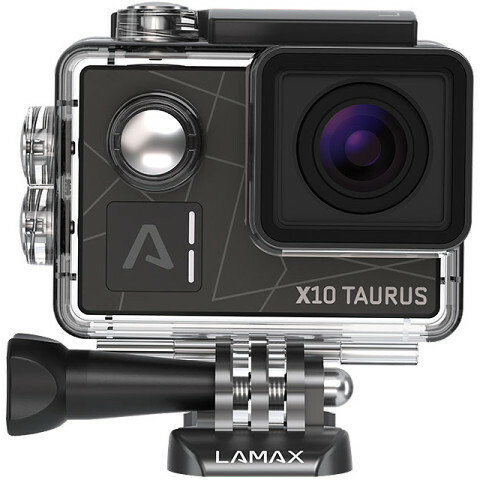 A shockproof case, waterproof up to 30 metres, enables extreme shots from the underwater world. Using the wristband remote or mobile app, start recording instantly even when the camera is mounted in inaccessible places. Wide-angle lens allows you to shoot video with a viewing angle of up to 170 degrees. The camera captures every moment in all its beauty. To get started right away, there are 23 accessories in the basic pack. Make a great video even easier.